I guess I’ll have to come to terms with the fact that not all blog titles can be alliteratively clever. Try as I might I could not come up with one for this salad. 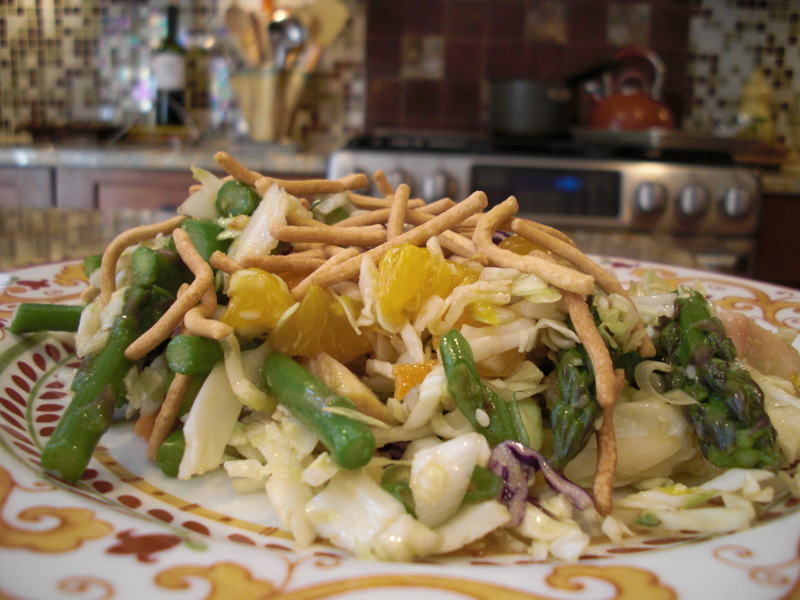 But this salad does not need any gimmicks or clever nicknames. Its fabulous all on its own. It is pretty, it tastes good and it is surprisingly filling! This is not the type of salad that you have for lunch and then an hour later feel like you need a snack — this one stays with you. And the leftovers keep for a few days due to the hearty arugula and the relatively small amount of tangy, lemony dressing. It’s also a salad that moves well into fall — thanks to the roasted cauliflower, it doesn’t feel too “summery” as the days start to (thankfully) cool off a bit. I’m always amazed by people who can create these types of salad recipes. Every component in the salad is vital and the dish would not be as good if you were to take out even one of the ingredients. There’s really not much more to say about this dish except make it…soon. I got the recipe from Fine Cooking. Seriously, don’t change a thing! I made this salad for the first time a couple of weeks ago and it made me very happy. My husband and I each took our first bite and sat back and said “Wow! This is better than it should be!” This was definitely a case of the final product being surprisingly better than the sum of its parts. 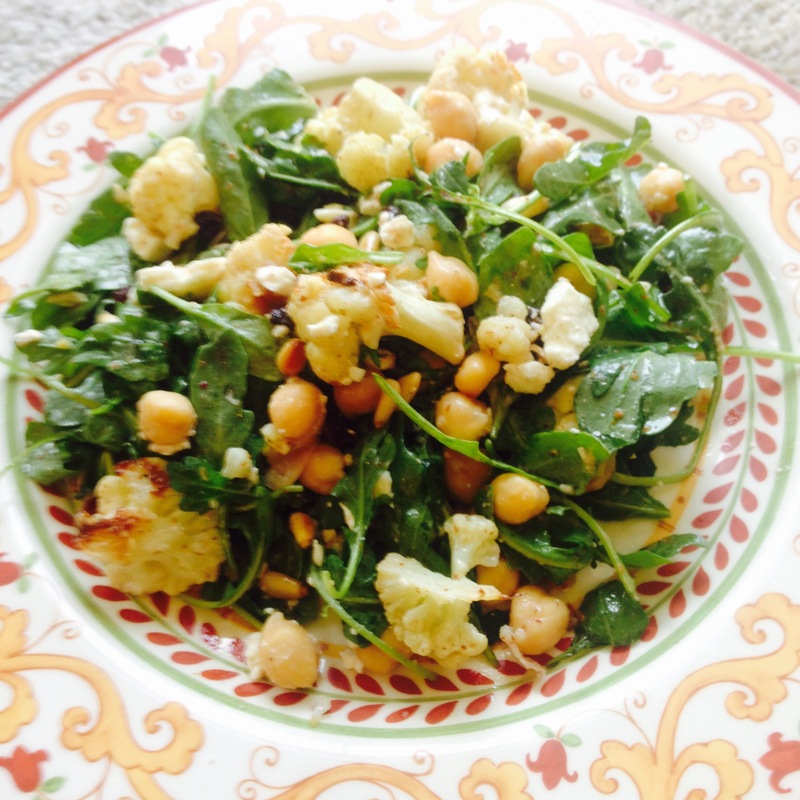 Now, understand… my husband is totally not a “salad” guy…. and the fact that we had a lovely grilled steak with this and he even noticed the salad speaks volumes. The original recipe comes from Eating Well magazine and is designed to have the sliced steak served on top. As I said, we did do that the first time, but this salad is definitely tasty enough to stand on its own. As a matter of fact, I made the salad, sans steak, last weekend for Easter dinner with friends. Pulse 1/4 cup blueberries, 1/4 cup walnuts, vinegar, shallot, sugar and salt in a food processor to form a chunky paste. With motor running, add oil until incorporated. Transfer the dressing to a large bowl. 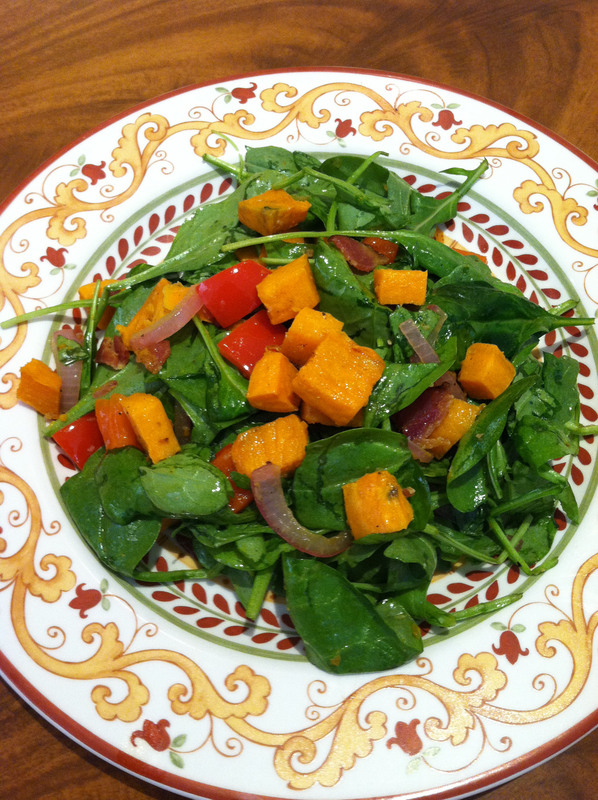 Add spinach to the bowl with the dressing and toss to coat. Divide the spinach among the 4 plates. 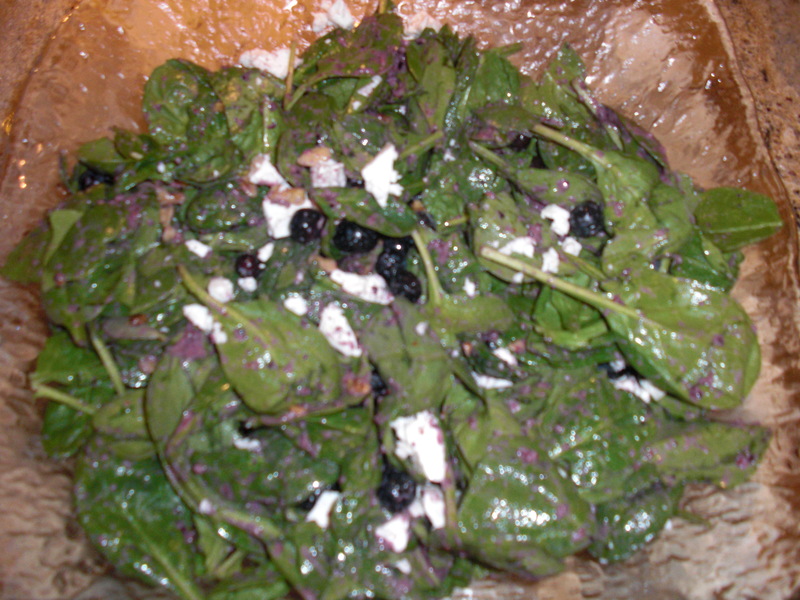 Top the spinach with feta and remaining walnuts and blueberries. Enjoy!